Check out the first trailer to Ultimate Justice starring Mark Dacascos, Matthias Hues, Mike Moeller, Matthis Landwehr and Mike Leeder. [adse]According to Mike Leeder filming of The Ultimate Justice has come to an end. Ultimate Justice, tells the story of a team of former Special Ops elite soldiers, whose friendship was forged in battle and years after they thought they had lain down their weapons for good, they are drawn back into action when the family of one of their own is threatened, friendships and loyalties are tested, battlelines are drawn, and Ultimate Justice will be served. 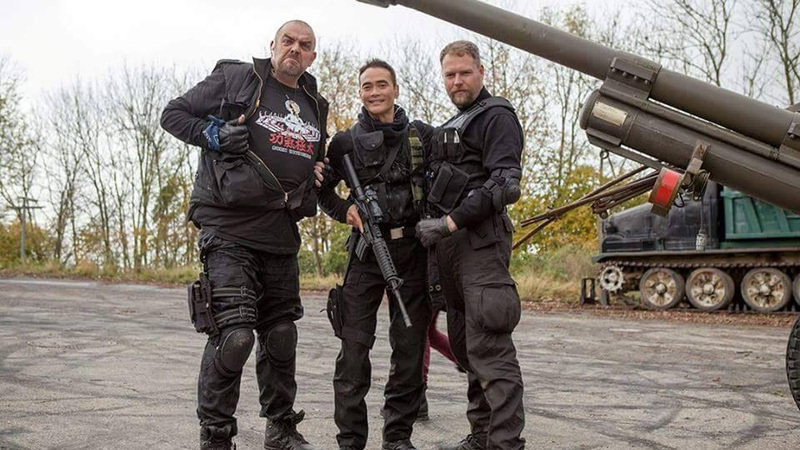 Mark Dacascos playing a lead with support of Matthias Hues, Matthis Landweher and Mike Moeller, who will also be handling the fight choreography. The film also stars Sandra Tauro, Wolfgang Riehm, Wing Tsung Sifu Henry Mueller, Yasmeen Baker, Martin Baden, Brandon Rhea and Mike Leeder himself.